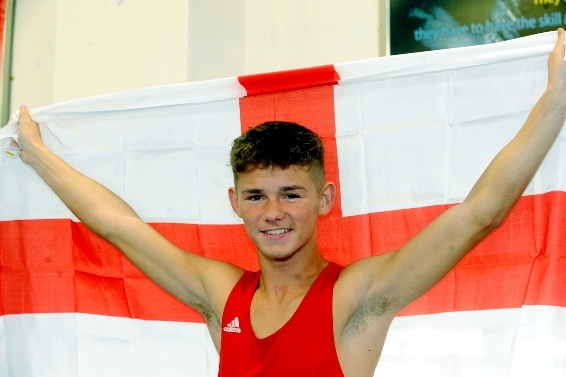 OLDHAM Olympic hopeful Will Cawley has been selected for the England Boxing youth squad. The talented 17 year old earned his place after impressing national coaches at a training camp in Sheffield. As a member of the squad, Cawley will sign a one-year contract which will allow him to develop his skills learned at Oldham Boxing and Personal Development Centre and compete all over the world – the immediate target being the Youth Commonwealth Games in Samoa in September. Cawley, a star in the 49kg category, is only the second fighter from OBPDC to be given the honour – the first being Jack Ellender. To mark his call up, Cawley will attend a GB training camp at the end of the month. The Oldham centre is at Victoria House, Greaves Street, Oldham.